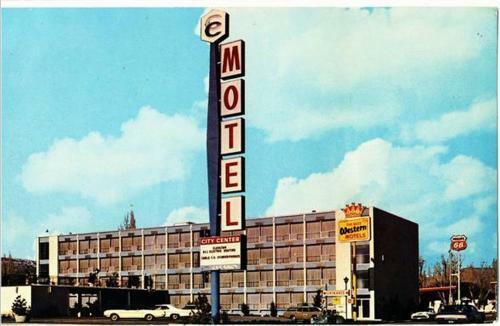 The City Center Motel at the northwest corner of Carson and Washington is seen in what appears to be the 1970s, judging by the cars. 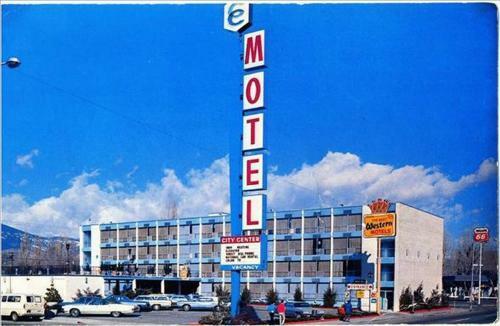 The Best Western crown stands proudly by the motel, but it is overshadowed by the motel’s own sign, reaching high into the sky. This was written by Scott Schrantz. Posted on Wednesday, October 22, 2008, at 10:46 pm. Filed under Uncategorized. Bookmark the permalink. Follow comments here with the RSS feed. Post a comment or leave a trackback.